Distillery visits are probably amongst the favourite experiences enthusiasts can enjoy in the world of whiskey, outside of actually consuming whiskey. Getting to see the buildings, smell the grist wafting through the air, feel the sauna-like heat of a working still room, smell and taste the contents of still-maturing casks only help enhance your experience of your favourite dram or taoscán (tash-cawn phonetically). Much like the word ‘dram’ (which is actually a unit of both mass and volume) is used today to refer to a measure of alcohol, ‘taoscán’ is the Irish equivalent, but both words essentially mean an ‘unspecified amount of something’ and could as easily be used to refer to a measure of barley as a measure of liquid. Thanks to Matt at potstilled.com for introducing me to this marvellous Irish word, I’m going to use it more often! I’m fortunate enough to live around 9 miles from Bushmills Distillery and it’s a site I have visited and toured on numerous occasions. It’s a tour I have always enjoyed and I think I learn more every time I take it. The tastings too are great craic, especially when under the stewardship of Ben, Bob (now a distiller) or Jack (now a U.S. Brand ambassador). Now as good as the tour and premium tasting is at Bushmills I think more could be done to improve the experience. I’ve seen some distilleries in Scotland offer tours where you get to taste the whiskies with the actual distillers… I’d sign up for that. Currently, Bushmills doesn’t offer a warehouse tasting experience which is a shame I feel and a missed opportunity. How about an option to try your hand at blending? Sadly also missing are the ‘bottle your own’ experiences offered by so many other distilleries. It’s touches like these that would keep fans old and new alike coming back again and again. Come on Bushmills, do the right thing! 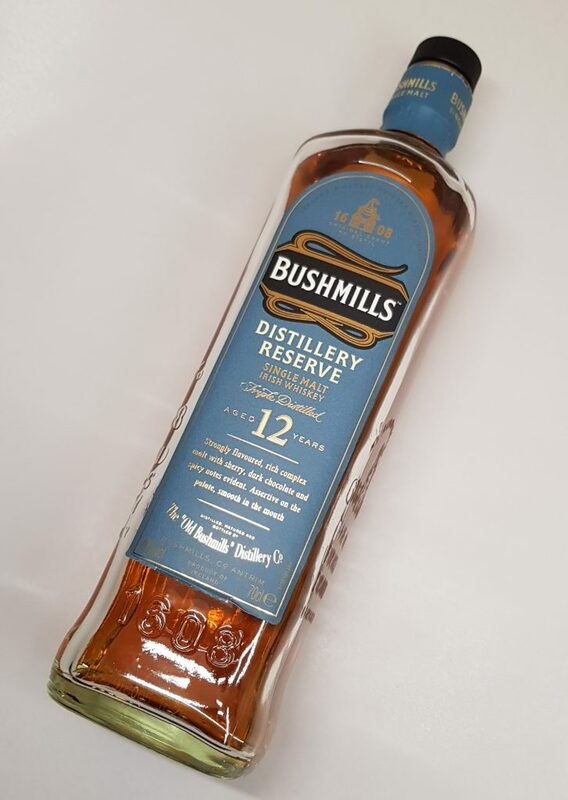 Another reason to visit distilleries is the distillery exclusive bottlings of which the 12 year old Distillery Reserve is Bushmills one and only offering. I’d like to see this also offered at cask strength just to add a little variety! 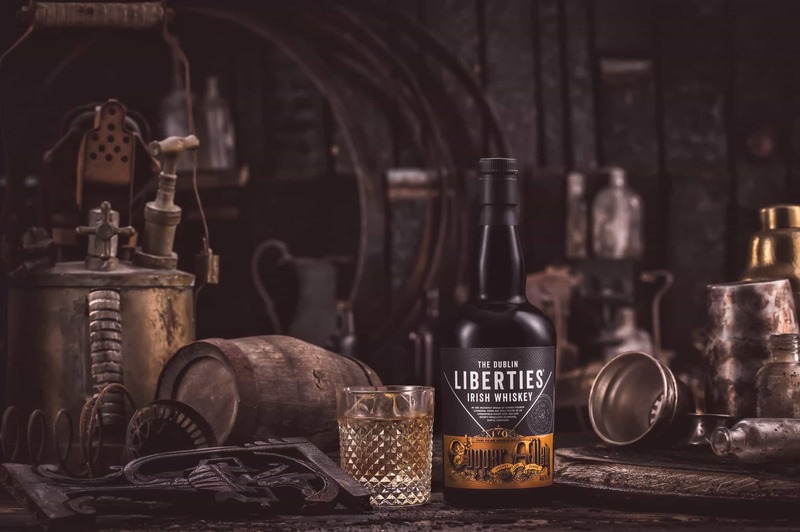 The 12 year old Distillery Reserve is fully matured in oloroso sherry casks, is bottled at 40%, chill-filtered and probably tainted with e150 too. At present, it costs £42 a bottle from the distillery shop (although I paid £37 pre price rise) and you can get the label personalised for an extra few quid. Transparency time – I bought mine just so you know! Nose: Very very fruity. Peaches, bananas, mango straight off the bat. These then give way to the sherry influence with marzipan, raisins, malt and a hint of allspice. In the mouth: It has a light, delicate mouthfeel. Very honeyed with cloves initially, like a cold ‘hot toddy’ then the fruit makes its appearance, caramelised banana, Seville orange zest, sweet malt with clove spice running throughout before notes of chocolate, raisins and star anise come to the fore. The finish is medium, remaining sweet although with a touch of spicy European oak. In its current form, I don’t think this is reward enough for those who have ventured to the distillery. It is a solid enough dram from Bushmills and at £42 for a bottle an acceptable price to pay for a fully sherry matured whiskey with an age statement too, but I feel that this whiskey would be lifted to another level entirely if non-chill filtered and bottled at 46%. At present, it is too thin in the mouth and lacks body and presence. 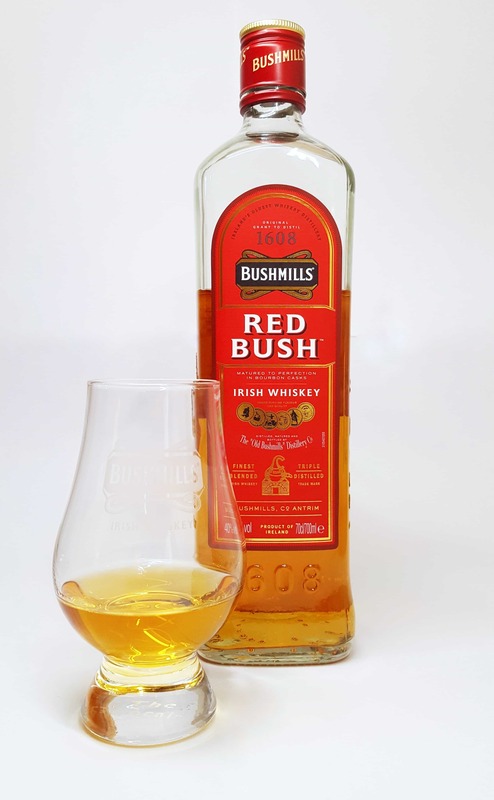 A few minor tweaks and Bushmills would have an absolute winner on its hands (and seriously Bushmills, make this available at cask strength too). 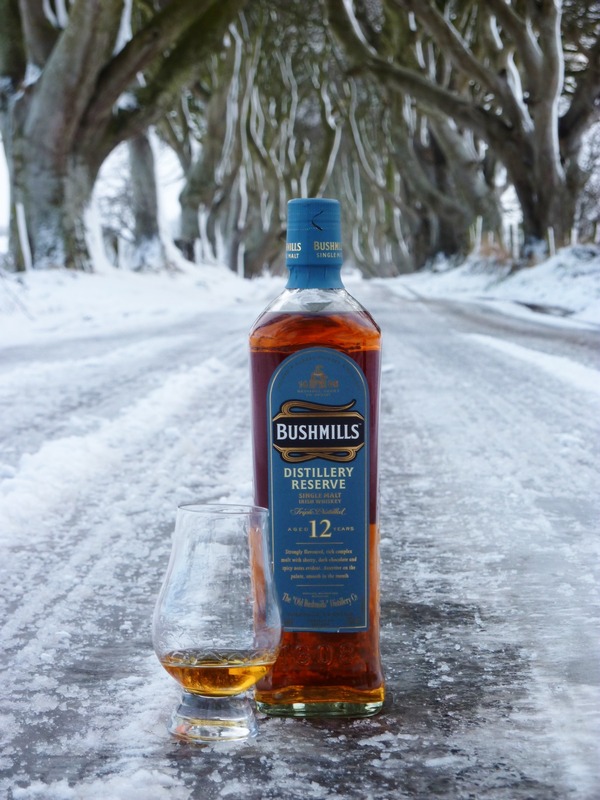 Interestingly when I asked a representative of Bushmills why not put the single malts out at 46% or do the odd cask strength release and do non-chill filtration I was a told that as the customer base already bought into the brand at 40% there was no need, plus the consumer would need to be re-educated. Re-educated about what? That the whiskey now tastes better. Amazing. Not one of my favourite releases from bushmills although it’s my spanish brother in laws favourite! Any chance of you reviewing the 16 or 21? Best photo you’ve taken to accompany an article!! 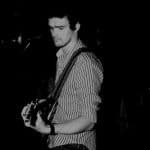 The 16 has already been reviewed by Mark, although that was a number of years ago. The 21 is on the list! I really enjoy this 12 year old malt whiskey, it has a slight harsh start for a malt but I love the sweet follow up taste. A splash of water improves the taste massively.